To coincide with World Octopus Day on 8th October, we’re hosting a very special event at Deep Sea World throughout the October half term, full of EIGHT times the fun. We’ll be welcoming a wonderful guest – Octo! the lesser octopus. Come and join us any day from Saturday 7th until Sunday 22nd October to say hello to Octo!, take part in our fun activities, and learn all about octopuses in our educational talks and feeds throughout each day. Is it octopi? Octopuses? Octopodes? Our expert team of aquarists will be on-board to answer all of your questions about these incredible creatures. By the end of the day you’ll be brimming with underwater facts you can whip out to impress your friends with! Lesser octopus species can grow rather big! Look out for its mantle, which can reach up to 50cm in length! This species is well-travelled and commonly found in waters across the world, including along the British Isles, throughout Europe, in the Mediterranean, and even as far as the northern coast of Africa! You might also hear this species referred to as a curled octopus, northern octopus, or horned octopus. You’ll also learn about what octopuses eat, where they live, and what makes them so incredible! We hope you’ll learn a lot about octopuses when you visit us! So, it’s time to test your knowledge with our round of quizzes. Think you know these underwater creatures pretty well? Pick up a quiz sheet and try to see how many answers you can get right! How many arms and how many hearts do octopuses have? How many different recognised species of octopus are living in oceans around the world? 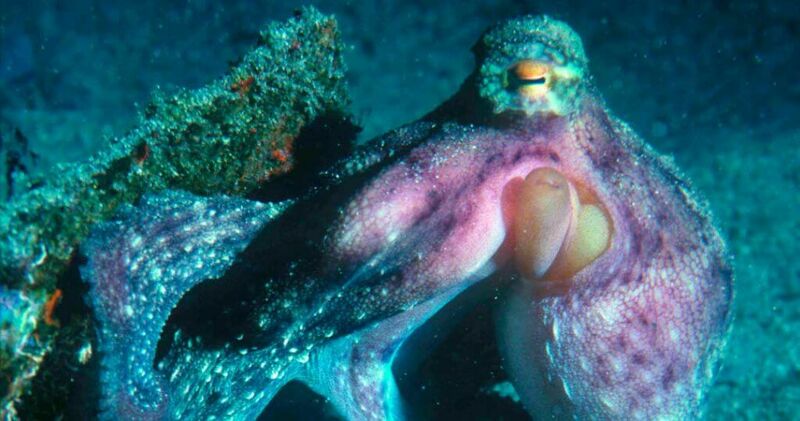 How do octopuses protect themselves from predators, and how do they trick prey? Don’t worry if you don’t know all the answers on the day. Our team will be able to point you in the right direction! Did you know: the octopus is one of the most intelligent creatures on the planet?! But, it looks like Octo! might need a hand finding some of his lost possessions on the day. Help Octo! by going on an adventure trail across the aquarium to get back his eight shoes. You’ll need to keep your eyes peeled to find all eight! Swim over to the shores of Deep Sea World this October and join our World Octopus Day celebrations! If you purchase your tickets online more than 48 hours in advance, you’ll be able to save up to 25%.